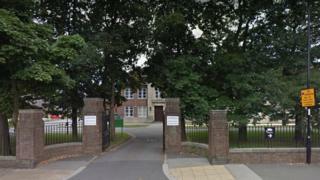 A teacher who became involved with a former student has been banned from teaching for a minimum of two years. James Waiters, 38, taught music at High Storrs School, Sheffield, between 2007 and 2015. A misconduct hearing was told the relationship began shortly after her A-levels in 2015 and the couple are still together. Mr Waiters, who has the right to appeal the ban, will be able to apply to have it set aside in 2019. The National College for Teaching and Leadership panel heard Mr Waiters began teaching the pupil, witness A, in 2014, and later tutored her at home. Witness A began a period of study leave in May 2015 ahead of her exams and left school in July 2015. Both her and Mr Waiters said they became close in July but added the relationship had not become intimate until late August. The couple's relationship briefly ceased in September 2015 due to her parents' concerns, but resumed in October and has continued since. The school's head teacher, Witness B, learned about the relationship and challenged Mr Waiters, who initially denied it. He told the panel he made a "big mistake" in lying, which he regretted, and had sought to rectify it soon after. He was suspended in November 2015 and was later dismissed. The panel found the relationship to be inappropriate and found him guilty of unacceptable professional conduct and conduct that might bring the teaching profession into disrepute. It did state it did not consider he posed a continuing risk to pupils and therefore did not recommend a prohibition order. However Alan Meyrick, on behalf of the Secretary of State for Education, said he did conclude a prohibition order for a minimum of two years was proportionate in this case and in the public interest.